The objective of this study was to prepare ibuprofen enteric-coated sustained-release pellets (IB-SRPs) and codeine phosphate immediate-release pellets (CP-IRPs) to play a synergistic role in analgesia. The pellets were developed by extrusion-spheronization and fluidized bed coating technology. The single-factor investigation was used to determine the optimal prescription and process. The sustained-release membrane of IB-SRPs was water-insoluble ethyl cellulose (EC), triethyl citrate (TEC) was used as plasticizer, and hydroxypropyl methylcellulose (HPMCP) was chose as porogen. Besides, the immediate-release layer of CP-IRPs was gastric-soluble coating film. The ibuprofen and codeine phosphate compound capsules (IB-CP SRCs) were prepared by IB-SRPs and CP-IRPs packed together in capsules with the optimum doses of 200 and 13 mg, respectively. The prepared pellets were evaluated by scanning electron microscopy and dissolution test. 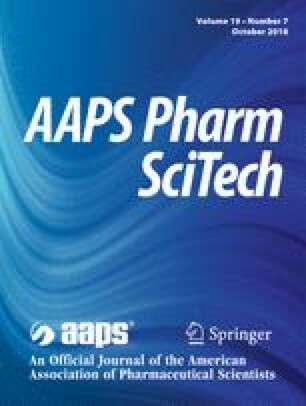 Pharmacokinetic studies in beagle dogs indicated that the optimized IB-CP SRCs had smaller individual differences and better reproducibility comparing with commercial available tablets. Additionally, IB-CP SRCs achieved consistency with in vivo and in vitro tests. Therefore, IB-CP SRCs could play a great role in rapid and long-term analgesic.